At Jamaica's original all-inclusive, couples-only resort, scenes of natural beauty intermingle with exquisitely appointed rooms and endless amenities to transport you to a world that is equal parts Jamaican paradise and 1950s Hollywood hangout. Here, everything is at your disposal. Spacious, stylish rooms and suites with unparalleled ocean views. Sparkling white-sand beaches. Fine dining. Unforgettable off-site excursions and adventures. You'll encounter infinite reasons to fall in love with Ocho Rios, Jamaica. And with one another. At Couples Resorts, we know how meaningful your wedding day is to you. We offer the perfect setting for you to live out your dreams – free of worry and hassle. For a wedding day as unique as you are, let us customise your wedding with Couples Resorts. Endless Choices: Barefoot on the beach, tropical flower bouquet, steel drum band, even have your suite romantically decorated and much more. Complete Personalisation: No two weddings are alike at Couples Resorts. Invite your friends and family or keep it intimate. Dress in formal attire or casual wear. Bring your favourite music to be played as you walk down the aisle. Let your intentions be known by adding special wedding vows at your ceremony. 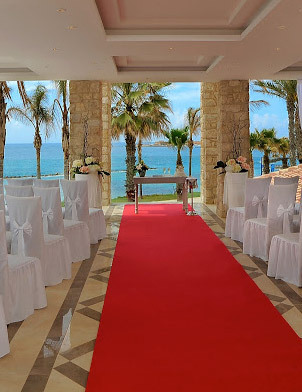 Personal Services: UK based wedding planners and resort based wedding advisors are dedicated and dependable experts who will orchestrate your wedding day to the final detail. Complimentary Inclusions: Many of the options available to you for customising your wedding are complimentary, such as the personal service of a wedding advisor, bridal bouquet, boutonniere for the groom, sparkling wine, two-tier cake, commemorative t-shirts and his and hers half-hour massages. With the guided expertise of the Couples Resorts wedding team you will build your personal wedding experience with Couples Resorts. The choices are endless…from the amazing spa packages to pamper yourself before the big day to a private beachside dinner where you will toast to a long life together after you’ve been pronounced husband and wife. Describe the details of your perfect wedding to your wedding advisor and watch it all unfold before your eyes while you sit back and dream of the day to come…free of worry, free of hassle.